First Baptist Church seeks to build bridges of connection to a changing culture while maintaining the heritage and values of scriptural truth. 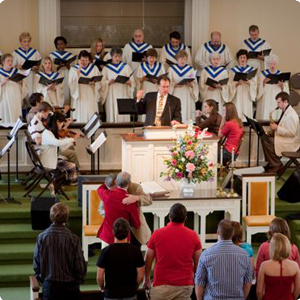 Located on South Gaston Street in downtown Brevard, N.C., First Baptist offers a traditional/blended worship service. About 200 people attend Sunday morning services each week. Due to the winter weather, all church services will be cancelled for Sunday, January 8. Stay safe and warm!